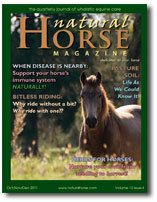 There are a variety of Natural Horse Magazines now available. I've listed some of my favourites below. A respected and sought-after source of information, Equine Wellness Magazine appeals to readers of all breeds and disciplines. It gives caretakers the choices they're looking for and empowers them with leading edge information on: Natural diet, supplements, training, medicines and therapies and so much more! 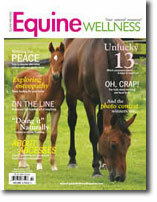 Click here to visit the Equine Wellness Magazine website. 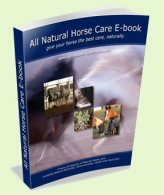 This 24 page publication is dedicated to the barefoot hoof and includes information on all aspects of barefooted horses, trimming techniques, hoof research, horse owners stories, barefoot horse care ideas, and more. Two types of subscription available: Printed (full color covers, black and white inside) and PDF (full color throughout). Printed subscriptions are $25 for 4 issues (1 year) US/Canada, $40 foreign. Adobe Acrobat PDF subscriptions are $15 per year. Discount rates for 2 year subscriptions. Or get a combo subscription of both PDF and Printed for just $30.00. 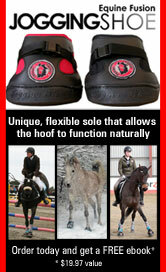 Click here to visit the Horse's Hoof website. This magazine covers all aspects of wholistic horse care and is available in both a printed subscription or an online/pdf version. With four issues per year the print version starts at $26.95 and the online version $15.95. The main focus is on humane and natural alternatives and includes a whole host of topics from complementary medicines, book reviews and special events to wholesome nutrition. 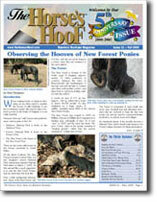 Don't forget to sign up to the FREE All Natural Horse Care Newsletter! Full of information and advice on all things natural it will also keep you right up to date when new information is added to this website.